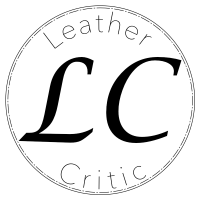 LeatherCritic replied to immiketoo's topic in How Do I Do That? @Toddo it's important to note that pricking irons are different from stitching chisels. They are not intended to punch all the way through the leather. Instead irons mark where the thread will go and prime the leather for the awl to punch through. It can be a more laborious process than the chisels, depending on the quality of chisels and thickness of the leather. Thanks for all the responses! You all are so good. I was familiar with vinegaroon and the effects on leather, but perhaps not the specifics of the process. Yes the grommets were brass — antique brass, I believe. Thank you all for that feedback. I’ll try to see if I can protect the leather prior to assembly, or to pretreat the grommet. Fortunately, this was only a prototype. I have purchased some antique oval leather eyelets and set them when the leather was a little damp. I am not experienced enough to know if the metal reacts poorly with dye or wet vegtan leather. I know certain metals don't react well with chrometan leathers, but thought I would be safe here. Where the top of the eyelet rests on the leather, it has some feet to dig in and clamp. When bending the leather, I noticed that the leather had turned black. Fortunately, I'm only working on a prototype, but I was curious if this is poor quality hardware or something boneheaded that I've done as an inexperienced leatherworker such as "don't apply hardware to wet leather". @mikesc fair point. I guess I shouldn't have asked about location, my apologies. Leatherworker.net was under http (and not https), so as a newly registered member, my confidence was low in thinking how my information would be used or that it might be kept secure. I'll consider changing that as I become more familiar and more confident in the future. @hwinbermuda and @alpha2 perfect! Eyelets and grommets were the terms I was looking for, but could not recall. I'm fairly new and have been only doing pretty much only leather and thread (cotton/nylon), with a few rivets, snaps, rings, and loops here and there. Your quick reply was better than hours of googling.. I guess I could have referred to my Stohlman book, but maybe I got lazy? :D Thank you, again! What kind of rivet is this? I agree that information is often passed along and repeated. Ultimately, only you can ask the proper follow up questions to the expert for why they say that. Is it something they have experienced, or is it from something they have read? For my own response, the terms weak and strength are both relative. What is the expected use? How much confidence or room for error is there? A physicist or mechanical engineer would want to know how much force they can hold/support before failure… simply put weak and stronger does not tell me much. If these snaps are expected to hold up a saddle or reins, maybe they are "weak". I don't know too much about holsters, but if they're expected to hold a magnum or colt, under lots of use… perhaps they fail after so many uses and are weak? Rivets (in general) tend to be easily pliable, often with a ballpoint hammer and some light taps. So I don't know what the exact measurement of force they can withstand, but you should consider it to some degree. Will the leather tear before the rivet fails is another question to consider. Well I have saddle soap, aussie conditioner, atom wax, and super sheen. I really like the aussie. Probably will do Atom Wax + Aussie combo. This was super helpful especially the last bit about NFO compound. I had to check and didn’t realize my Fiebing’s was in fact NFO compound. Though I’m not sure why those additives are considered negative. i guess it’s a good thing I also picked up EVOO. I assume that’s a suitable alternative to NFO. This question started as a result of having some not-so-high-quality leather, that has some soft dirt marks, but now I’m curious about general prep practices before cleaning the leather. I was considering using denatured alcohol to wipe the leather with a sponge, before doing any cleaning. I understand this is effective, but also that it may dry the leather out. So, is it better to water down the leather first? Will that help to prevent the drying/hardening provided by the alcohol? I was then curious about the wetness of just water, since that tends to be used to help mold/form leather. Wouldn’t the water also cause hardening? Should the process be to: 1. sponge water and remove most dirt that can 2. use a light amount of denatured 3. add water 4. mold to final state 5. dye I’m considering something like making 3-piece gussets, where the molding may be important, yet hard to dye after molded (without dipping). I know it’s not ideal (or as affective) but can the leather be re-watered and molded after being dyed for those pieces? I also use denatured alcohol for cutting my Pro dyes, so there’s a lot of potential for drying out. I’m not sure what the best process should be to clean and dye. I would like to add a cleaning process, regardless if the vegtan leather seems to need it or not, just for consistency between final products. 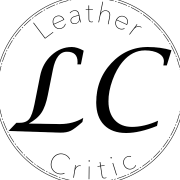 LeatherCritic replied to LeatherCritic's topic in How Do I Do That? Yeah As I understand it, even 6/7oz might be a little weak, but plenty of people are making messenger bags or laptop bags out of it that seem fairly firm. I was thinking the shoulder pieces have a little less "give" , so I might be able to get away with it at 4/5oz, using water for a little hardening of the gussets and then adding more denatured alcohol to the dye to stiffen it up even more. And it'd be a 3-piece gussets, not a unibody. I thought the gussets would be my main concern, since they seem like they're more of the backbone of the bag and the panels just need to attach to them, but I don't know. Matching a 6/7oz gusset to a 4/5oz panel seemed like an interesting experiment too and perhaps one that might reduce the overall weight of the bag without sacrificing much else (and also reducing costs). Thanks for your feedback! LeatherCritic posted a topic in How Do I Do That? I was curious if anyone had any input on weights for a laptop bag / briefcase. I have a decent amount of 4/5oz shoulders and double shoulders on hand and a limited amount of 6/7oz usable material. This left me curious about a few different options: Would a 4/5oz 15" laptop back be sturdy enough alone? What if the gussets were semi-hardened? And is it possible to do so without leather stiffener? For instance, would a wet wash be enough? What about a combination of 6/7oz for the gussets and 4/5oz for the front/rear panels? How about doubling up 4/5oz (back-to-back) to make 8/10oz? — sounds thick and like it might require a lot of stitching Anyhow, I'm interested to see the responses as I've been watching YouTube videos and reading these forums for months, but haven't taken on a project this big yet.